All you need is a good pot, a cheap candy thermometer, and a whisk. Easy, peasy! If you really want to spoil someone you love this holiday season, this is the treat to make. 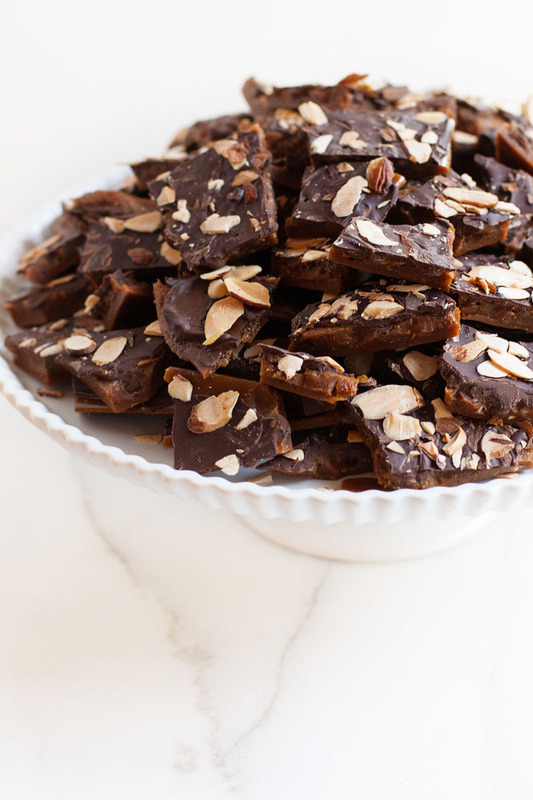 The hint of coffee and maple syrup are just out of this world in the sweet/salty toffee base, and chocolate and toasted almonds round out the topping! You all know my love of Starbucks VIA instant coffee packets for baking (you remember this ice cream recipe from this summer, right?) 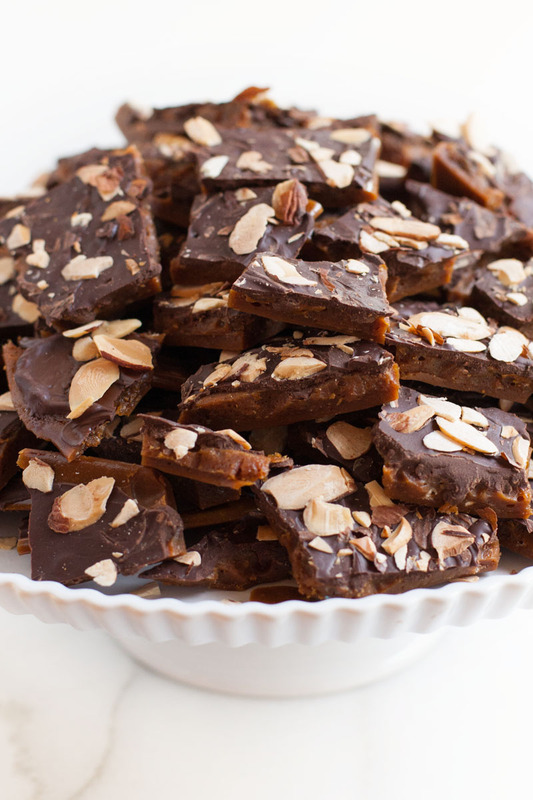 and this toffee recipe is no disappointment. Even if you don’t use them for anything else (I don’t drink them!) grab a box at the store and keep them on hand for baking. Add them to brownie batter, cookie dough, ice cream, etc. and you will learn to love their versatility as much as I do! I am a big fan of homemade Christmas gifts. Now, if I was handy enough, I would probably do all homemade gifts. But all I do is bake, so my usual MO is to add baked goods, treats, homemade vanilla, etc. to the Christmas presents we give. A little homemade love + a little store-bought token = a perfectly well-rounded gift, in my opinion! Line a large, rimmed baking sheet with parchment and set aside. In a medium-large heavy pot with a candy thermometer clipped to the side, dump in the butter, sugar, brown sugar, maple syrup, salt and instant coffee*. Heat over medium heat, stirring occasionally, until the thermometer registers 250ºF. Continue to cook, stirring constantly, until the caramel reaches 290-300ºF. Remove from the heat and immediately stir in the vanilla extract and then the baking soda. Pour onto the parchment-lined baking sheet and sprinkle the top evenly with the chocolate chips. Let the chocolate chips sit for about 3-4 minutes, until they are all soft and shiny, and then spread the melted chocolate gently with the back of a spoon or an offset spatula. 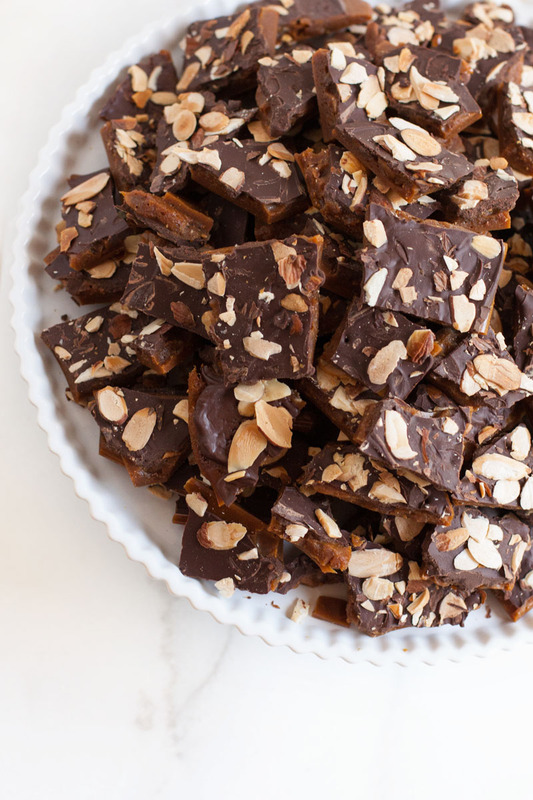 Sprinkle the top with the toasted almonds. 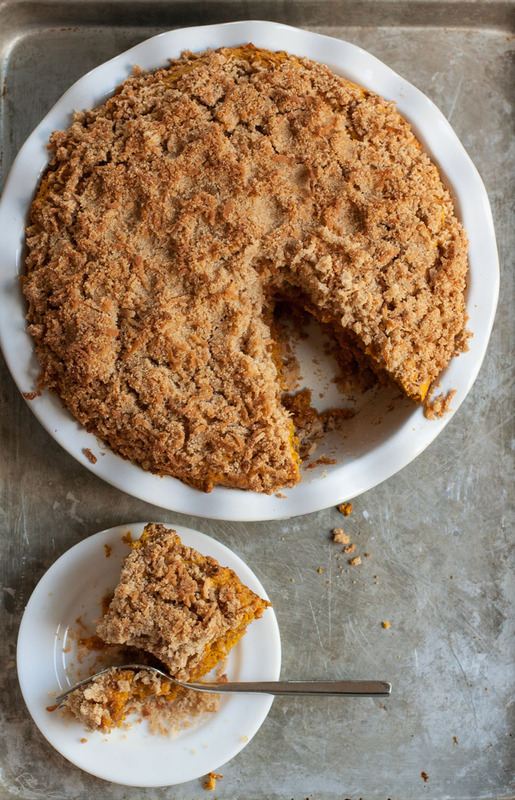 Let cool completely (in the fridge if your kitchen is too warm!) before breaking into bite-sized pieces and storing in an airtight container! *If you don't have any Starbucks VIA pouches, you can use regular instant espresso. I just hate buying that little jar and knowing how stale it was every time I wanted to use it! recipe adapted from Smitten Kitchen! 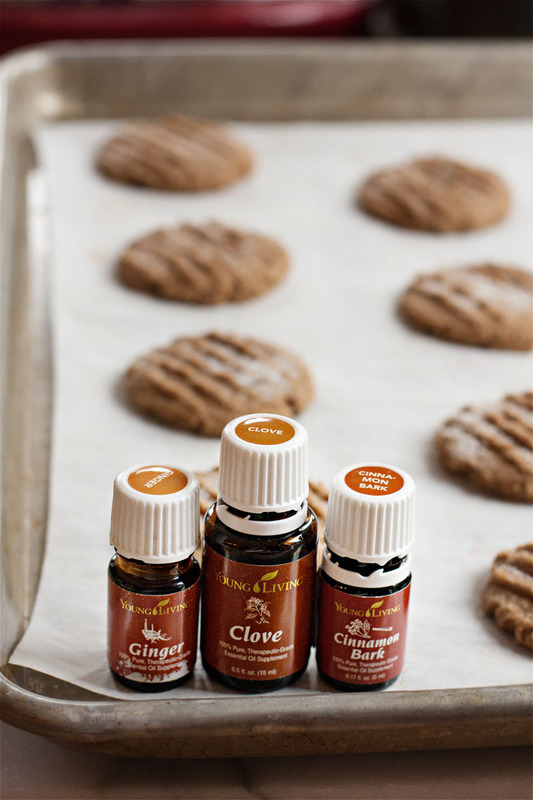 Chewy, moist, lightly-spiced, gluten free molasses cookies… These cookies have all the comfort of your favorite family recipe with a fun secret ingredient and without the gluten (but you’d never know!). Here we go again! Another gluten-free recipe conversion. Now, I am definitely not going to be an exclusively gluten-free blog, but for now I have a child who can’t have gluten and that means you will be seeing several new recipes here and there. Sometimes I get so down about this whole gluten free thing. I hate seeing Bjørn’s hurt and longing for things he used to have (we have yet to find a decent gluten free bagel or donut – tips appreciated! ), and the extra brain-power involved is just plain exhausting. I long for the days of easy food choices and grabbing anything handy to feed my kids, but that is just not our life anymore, and it’s time for me to to put on my big girl pants and get over myself! Yes, this is hard. But my love for him is huge, and every gluten free thing I make is a physical act of love for him. And my goodness, you should see his joy when I can answer “Yes!” to his never ending “Is this gluten free?” question! 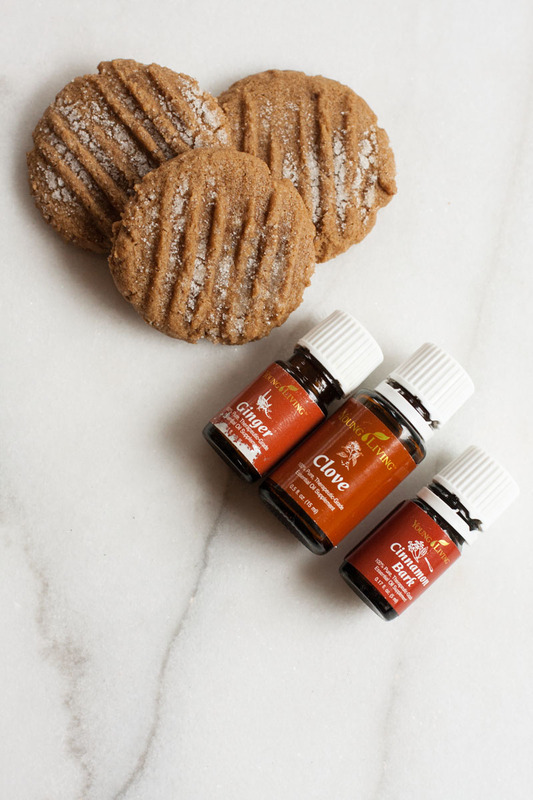 The blackstrap molasses in these cookies makes them a bit healthier than the originals, and a few delicious essential oils are the perfect compliment to the warm richness of the dough. Trust me, you won’t notice anything is missing, and you will love these as much as our family does! *I use Namaste brand Gluten Free Organic Perfect Flour Blend. As with all gluten-free recipes, your recipe may turn out differently with a different brand of gf flour! **PLEASE don't use just any brand of essential oils. Not all brands are safe for internal consumption, Young Living is the only brand I trust for my family! (Email me if you want to chat!) 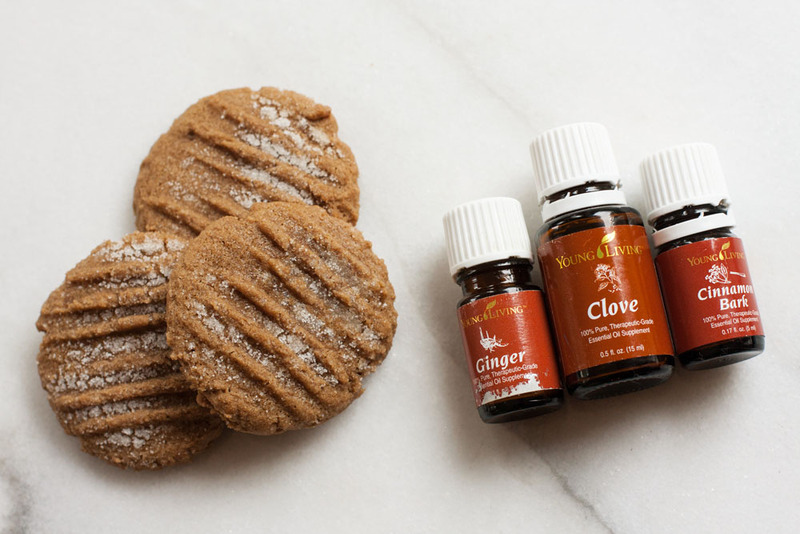 And of course, if you don't have essential oils right now, feel free to use 1 teaspoon ground cloves, 1 teaspoon ground ginger and 1/2 teaspoon cinnamon in place of the oils! 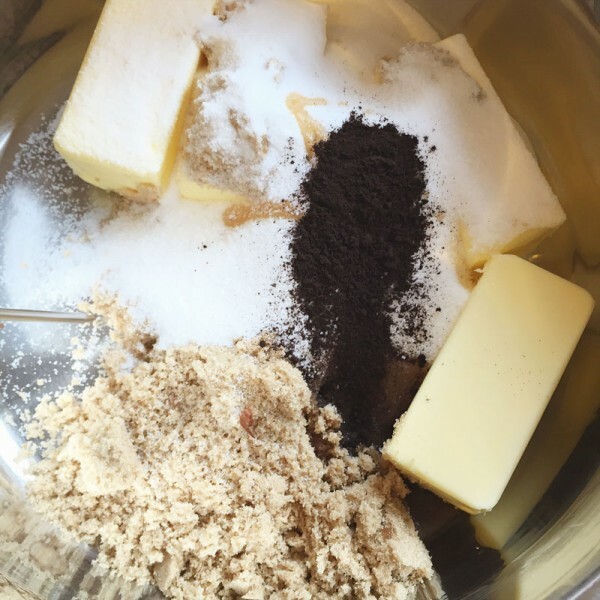 In a large mixing bowl, cream together the butter, coconut oil and brown sugar until light and fluffy, 3-5 minutes. Beat in the egg, molasses and essential oils until smooth. In a medium bowl, whisk together the flour blend, salt and baking soda and then add the mixture carefully into the mixing bowl and mix until just well combined. Cover and place the dough into the fridge to chill for at least 30 minutes, or overnight. When you are ready to bake, take the dough out of the fridge and preheat the oven to 375ºF. Line several baking sheets with parchment paper and scoop the dough out (with a small scoop) about 2-3 inches apart. 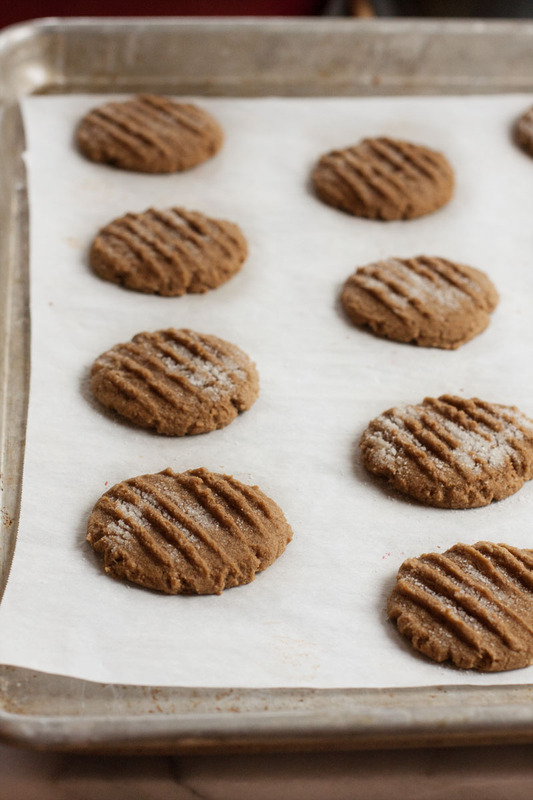 Press the dough down gently with a fork dipped in cold water, and then sprinkle each pressed cookie with sugar. Bake for 6-8 minutes, until just set and no longer wet looking in the middle. 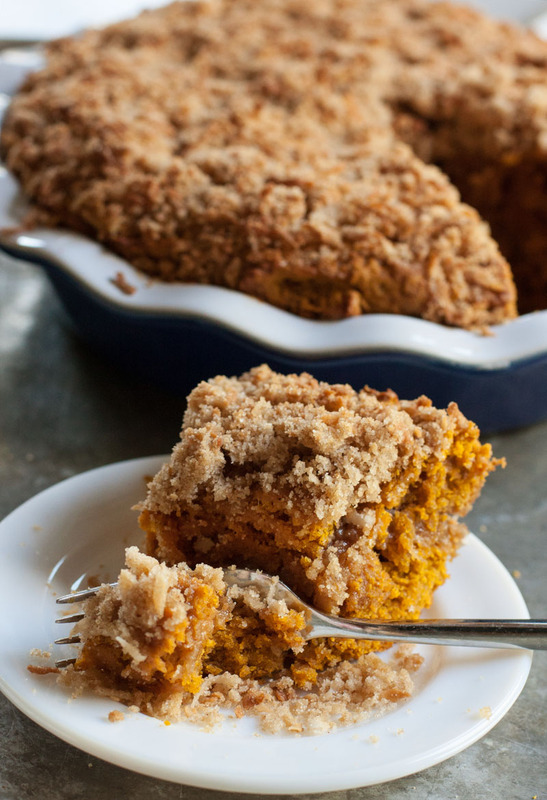 Let cool on the baking sheets and then transfer to an airtight container to store in the freezer!